I'm happy to introduce my guest writer for today's post, Deborah H. Land of Cholesterol Reduction Diet Site. Deborah's site helps raise awareness on healthy eating habits to support those living with high cholesterol. Please visit her site for more information. Enjoy the post! There are actually two types of cholesterol, which is not a known fact for people who misconstrue it as something bad. HDL is the name of the good cholesterol, while the bad one is called LDL. A bloodstream with too much LDL will result in plaques in the arteries. Over time, blood will have a difficult time travelling your arteries because the opening becomes narrow thanks to the amount of bad cholesterol in it. Dietary cholesterol is not the culprit for your having high cholesterol in the blood. Rather, it is copious amounts of saturated fat along with Tran’s fat that is to blame for the tightening of the artery. To keep your cholesterol on the low level, you should eat plenty of unsaturated fats and fibrous foods, as well as exercise often. On an average, adults will usually need to have cholesterol checks every five years. Each time you get a cholesterol check it will yield four results – total cholesterol, LDL cholesterol, HDL cholesterol and Triglycerides. You will probably need more exercise and dietary change if you go above or below the healthy levels. c. Can Vitamin E Protect Your Heart? Vegetable oils, nuts and leafy vegetables are good sources of Vitamin E. Vitamin E is not proven to stop you from getting a stroke, but it can lessen your heart disease risk level. 1. Oatmeal and Oat Bran: These contain a high amount of soluble fiber, which can lower LDL. 2. Fish: Fish is a great source of omega 3 fatty acids, which lowers LDL and raises HDL. 3. Nuts: Not only are nuts high in fiber, but they contain the healthy fats you need to keep LDL in check. 4. Plant Sterols: This is found in foods like margarine, salad dressing, orange juice, and functional cookies. 2 grams per day will lower your LDL by 10-15%. 5. Soy: This popular meat replacement can lower LDL by up to 3%. Foods such as VitaTops Muffin Tops, Benecol Spread, granola bars and fat free milk are rich sources of plant sterols. You can easily help your heart when you start eating foods packed with plant sterols and avoid eating foods that contain saturated fats. A saturated fat-filled diet is not canceled out by this. Exercising often as well as eating healthy food will keep your cholesterol in check. About the Writer - Deborah H. Land writes for cholesterol reduction diet site, her personal hobby blog she uses to help people lower bad cholesterol levels. 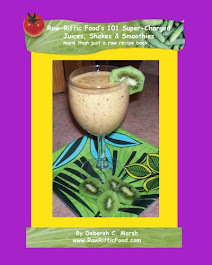 You can find super delicious and easy to make raw recipes on my Raw-Riffic Recipes page. Check it out here! Swiss Chard - Super Green Nutrition! 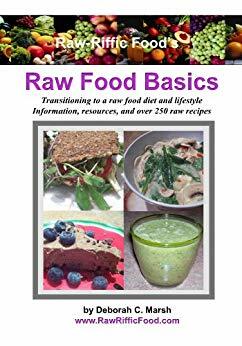 The contents of this website and affiliated blogs, including Raw-Riffic Recipes, My Raw Life, Raw Food Basics, and My Prosperity Blog are intended for general information purposes only, and is not intended to provide personal medical advice. Individuals should consult their health care provider or qualified health professional for any medical advice before administering any recommendations made here or elsewhere. Any application of the material set forth within the pages of this website or affiliate blogs is at the viewer/reader’s discretion and is his or her sole responsibility. Always use your best judgment about whether a product or action is suitable for you, and to be sure to do further research or confirmation on your own. Any page on this site may be reproduced for non-commercial use if left intact with credit given to Raw-Riffic Food and each page linked to www.rawrifficfood.com.